So. HAPPY NEW YEAR!!!!!! Happyhappyhappy! Let's take a look at this past year on the blog, as well as what you can expect in the future. Kicked off the year by changing blog title from "Random Morbid Insanity" to "Insanity Inc."
Completed Scissored or Caesar'd and A Midsummer's Nightmare, two Shakespeare play recaps. Because it's fun to mock literature class. Started the Student's Guide blog series, a survival (success?) guide for snarky students. Joined the Teens Can Write Too! blog chain for the first time, and dear me, it's AMAZING. Jumped in on the #WatchMeWrite campaign — twice! Won the Liebster Blog Award from Christina in March and three more from Heather in November! Was published in two lit mags. Thanks to everyone who read these! 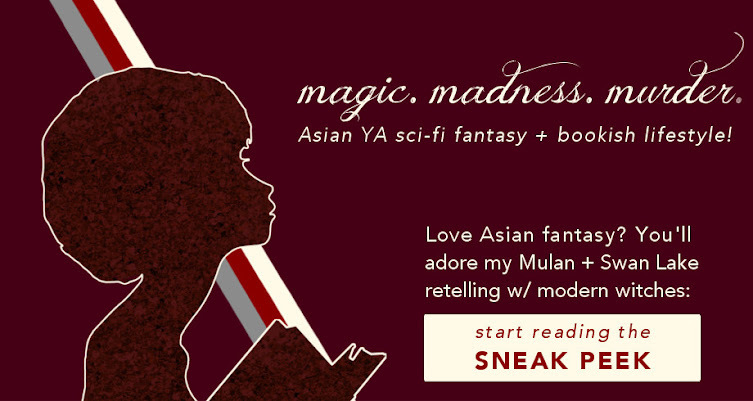 Started the really fun #LitLove Series in collaboration with Topaz, Christina, Anqi, and Taylor. Bloglovin' — I just joined in December, and it's awesome! Winner Takes All is now live on Figment; take a look at the playlist and #WatchMeWrite here! I'm, like, so excited this baby has been completely pounded out and the first round of revisions is under way! Well ... that's up to you. I'd appreciate it so much if you could take 5 minutes out of your time to fill in this survey and help me improve this blog. Scroll down in the mini-window below, or click to answer in new tab. Don't feel obligated to do it, but thanks muchly if you do! and you, dear reader, because without you why would I blog? Thank you for an absolutely amazing year, and I hope to make 2015 even more amazing*! *With that survey you're filling in, remember? I couldn't do it without you! I've loved getting to read your blog this year—I look forward to more awesomeness in the coming year (especially because I did fill out that survey so yay me). Also, I still think it's cool you were published in two lit mags. Just saying. I'm really thrilled I found your blog on the interwebs this year too, so right back at you :) Thanks for filling in the survey, I'm already planning some changes around here! *flails* Just glad I got to share with you guys -- Happy New Year to you too! To #litlove and 2015! *drains hot chocolate* Thanks so much for filling in the survey ;) Happy New Year -- just two hours left for us! Sounds like 2014 was awesome for you! Survey filled! HUZZAH! This is a great idea getting feedback from your readers and everything! I have something similar planned but not 100% sure how I'm going about it quite yet. Yay for an awesome 2014. I hope 2015 is even BETTER. Thanks so much! Yep, I'm planning some changes around here come 2015, so I thought I might as well ask for opinions. Happy New Year! Here's wishing you all the best in 2015--Happy New Year!! Thanks! I'm so happy we met over the interwebs, because your blog is all levels of wonderful. *returns hug with cookies* Happy New Year! I would totally fill out that form except this is my first time visiting! It's great to hear that you've had an awesome filled 2014, Alyssa. You've accomplished so much! Seriously, you put people like me to shame ahah. Haha, it's fine -- welcome to my little corner of the Internet! It was a nice year in blogging, yes, but mainly me rambling at my keyboard, hehe. Hope to see you again in 2015, and Happy New Year!